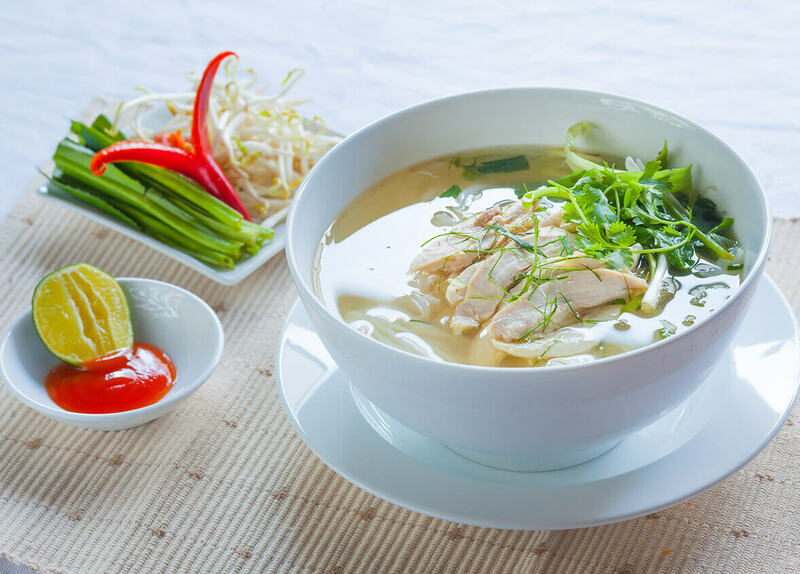 Pho is a kind of noodle soup appearing for nearly 100 years in Vietnam which must be the first dish in your Hanoi street food tour. Beef bones are stewed to create the sweetness of the soup. People add to the noodle soup beef or chicken, depending on what kind of pho Hanoi they want to cook. It is always served with some herbs, lemons, and chilies. The sweetness of stewed bones, the sour of lemons, a little spicy of chilies are combined together, which really arouses your taste. The crisp of shrimp cake is so fascinating. This dish goes perfectly with a type of sour and spicy sauce and some herbs. 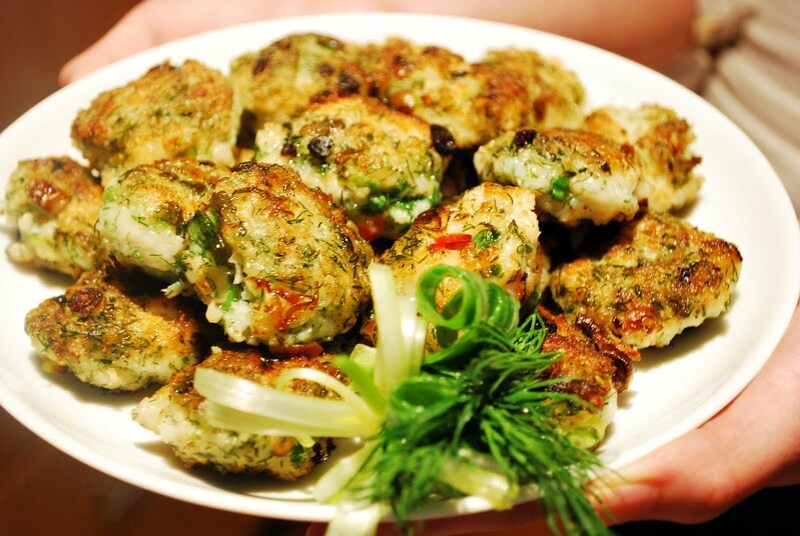 You should enjoy shrimp cake when it is still hot to keep its taste and crisp. The best place that you should try this dish is Banh tom Ho Tay restaurant, Thanh Nien street, Tay Ho district, Hanoi. Banh Com is one kind of cake which is an exquisite gift of Hanoi people. 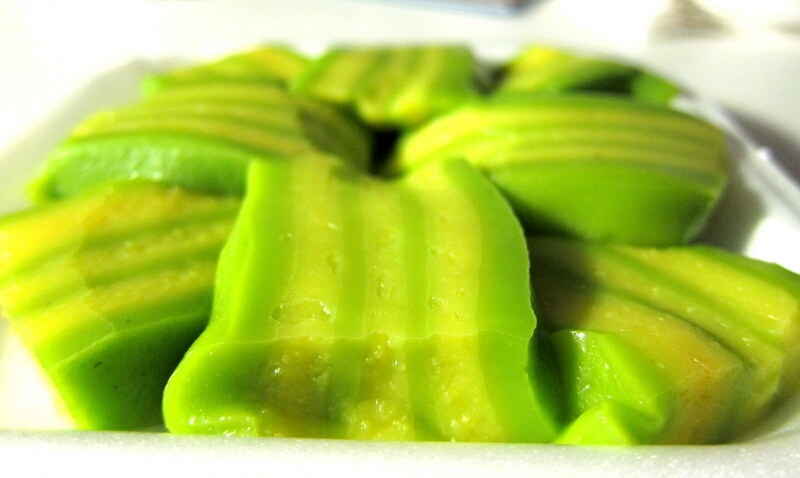 Made from the flour of immature rice, the fresh green cake look so attractive. A little sticky, a little sweetness goes well together actually. If you have a chance to come to Hanoi, just visit Vong village to enjoy this dish. You can also buy some as a gift from Hanoi street food tour. Cha ca means “grilled chopped fish” in English. 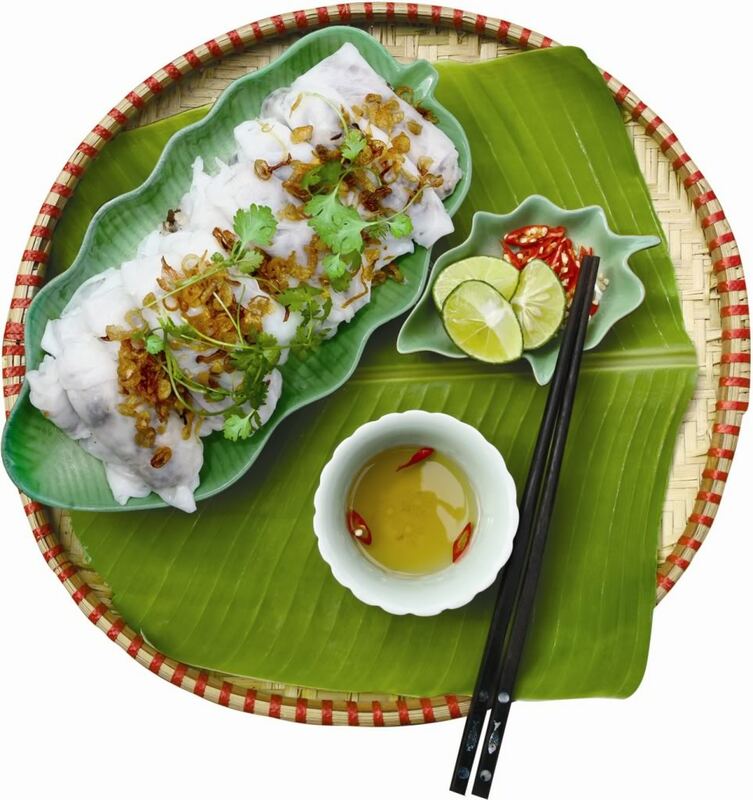 Its crunchy texture, juicy taste, and attractive flavor go perfectly with Banh Cuon, herbs, and roasted peanuts. Traveling with Hanoi street food tour without trying Cha Ca would be a pity. Just go to Cha ca La Vong restaurant at 14 Cha Ca to enjoy the most iconic ones. Actually, the origin of Banh Xeo is not in Hanoi, but it becomes more and more popular over time in the area because of its attractiveness. This is a traditional cake of Southern province of Vietnam. 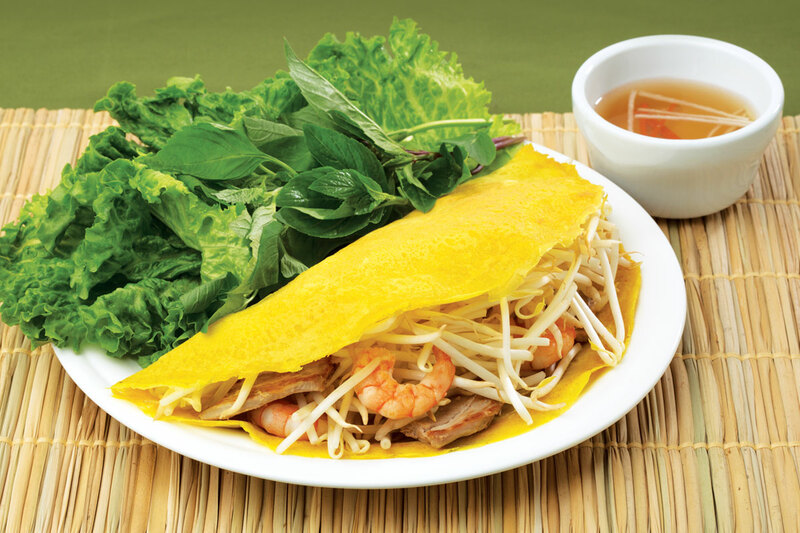 The main ingredient of Banh Xeo is rice flour with turmeric powder, which creates the yellow color of the cake. The round cake wraps a combination of some chopped meat, fermented soybean, and toasted peanut. The crispy texture goes well with a bowl of sour, spicy and sweet sauce and fresh vegetables such as salad and herb. They are only 6 of a number of delicious dishes in Hanoi. 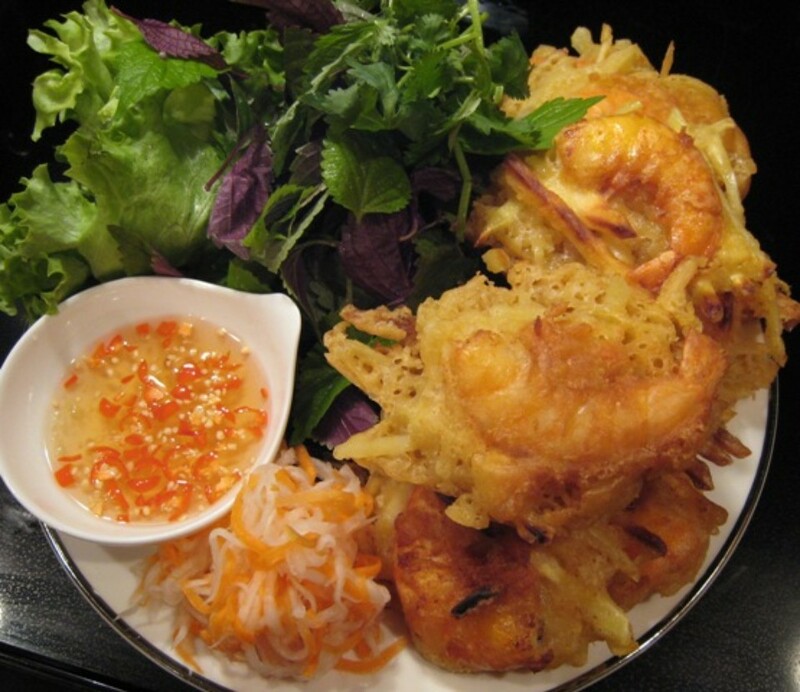 Just spend your time tasting them to taste Hanoi cuisine in your Vietnam tours.